But now the problem is getting worse, thanks to a flood of cheap webcams, digital video recorders, and other gadgets in the "Internet of things." Because these devices typically have little or no security, hackers can take them over with little effort. And that makes it easier than ever to build huge botnets that take down much more than one site at a time. The best defense would be for everything online to run only secure software, so botnets couldn't be created in the first place. This isn't going to happen anytime soon. Internet of things devices are not designed with security in mind and often have no way of being patched. The things that have become part of Mirai botnets, for example, will be vulnerable until their owners throw them away. Botnets will get larger and more powerful simply because the number of vulnerable devices will go up by orders of magnitude over the next few years. 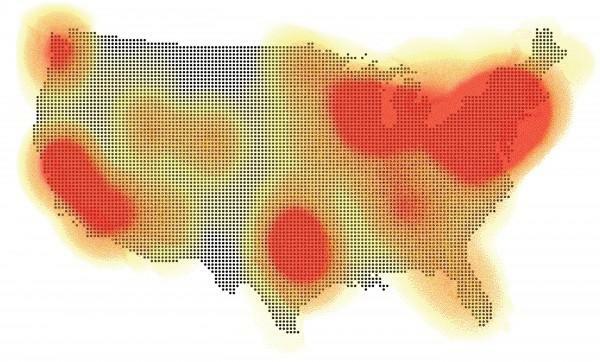 But the botnet activities that most often make headlines are denial-of-service attacks. Dyn seems to have been the victim of some angry hackers, but more financially motivated groups use these attacks as a form of extortion. Political groups use them to silence websites they don't like. Such attacks will certainly be a tactic in any future cyberwar.